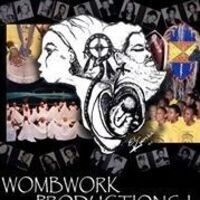 Wombwork Productions' Nu Generation Art Ensemble, in support of One Book Baltimore presents their production of "Intergenerational Complications: Finding Common Ground." An interactive showcase of music, skits and drumming, featuring Baltimore teens, highlighting social issues and conflicts affecting our communities. Nu Generation Art Ensemble is the young adult theatre company that builds confidence in budding teenagers who are empowered to develop their artistic skills in theatre, drumming, dancing, and reflection to build confidence and resiliency.